Food Allergy Canada is launching monthly webinars just for kids as a part of their Allergy Pals program. Every month, kids with food allergies that are between the ages of 7-11 can participate in webinars that will cover key educational information on managing food allergies. The one-hour sessions will be held on the last Sunday of every month at 7pm EST, starting July 30th. 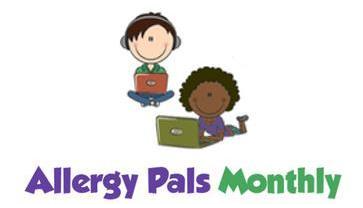 And unlike our traditional 8-week Allergy Pals program, there is no long-term commitment with Allergy Pals Monthly. Register your child today for the first webinar on July 30th. This month's topic will be on managing your allergies at birthday parties.